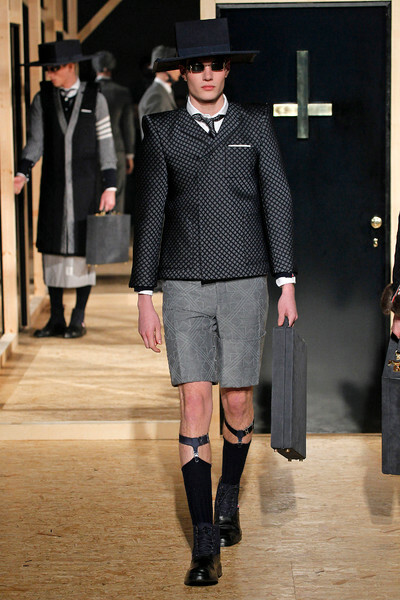 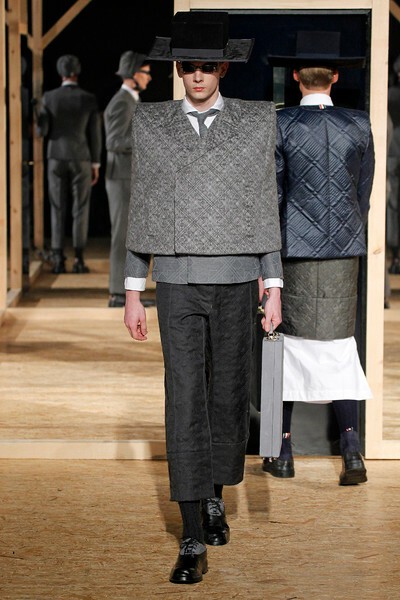 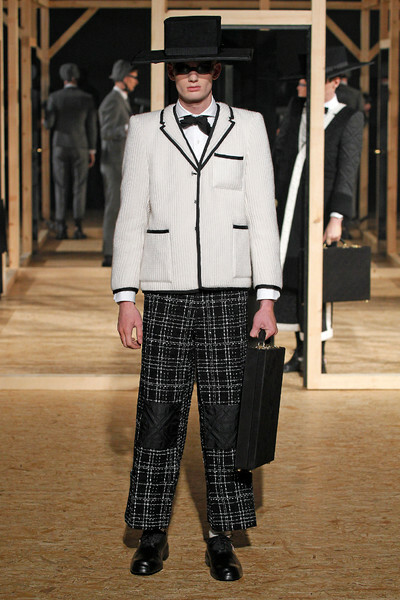 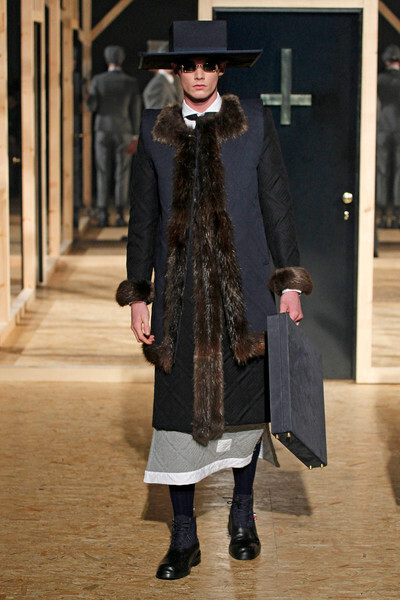 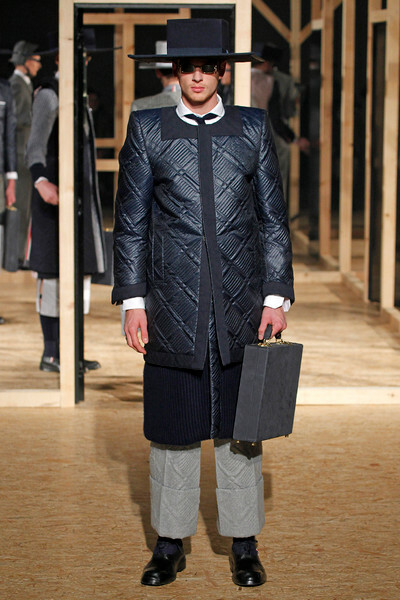 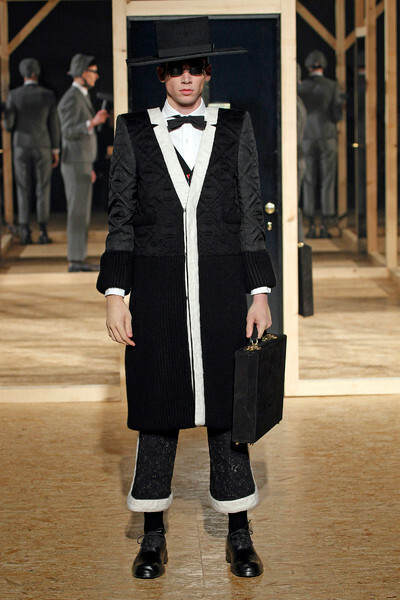 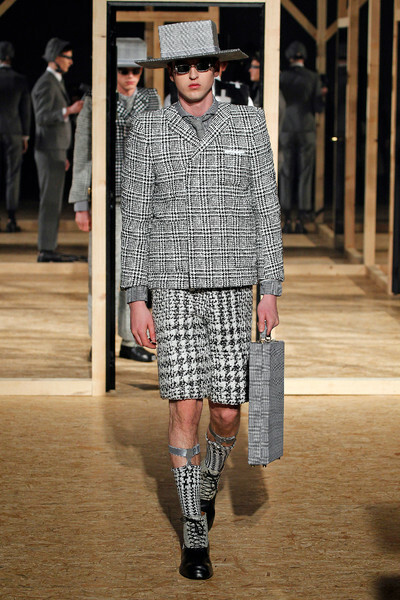 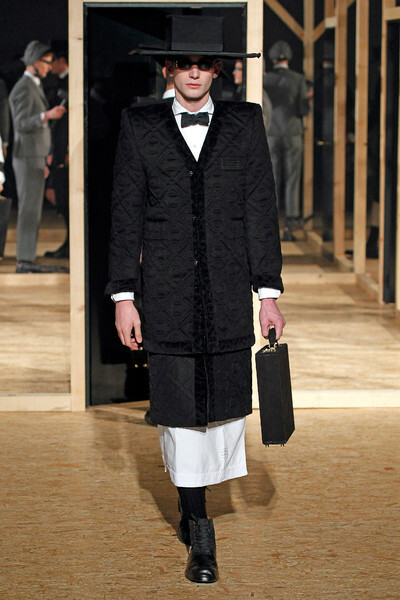 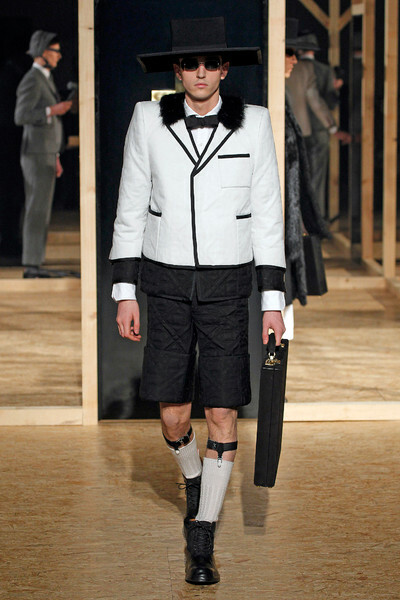 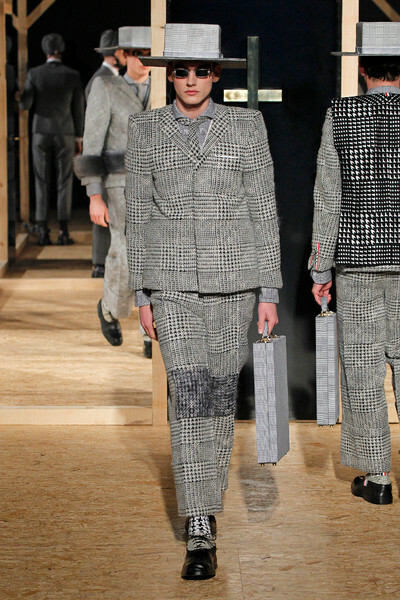 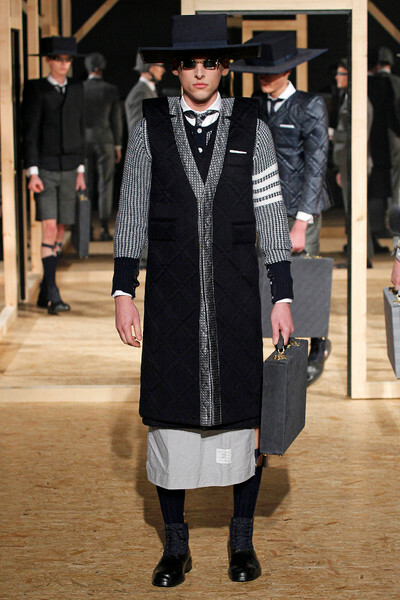 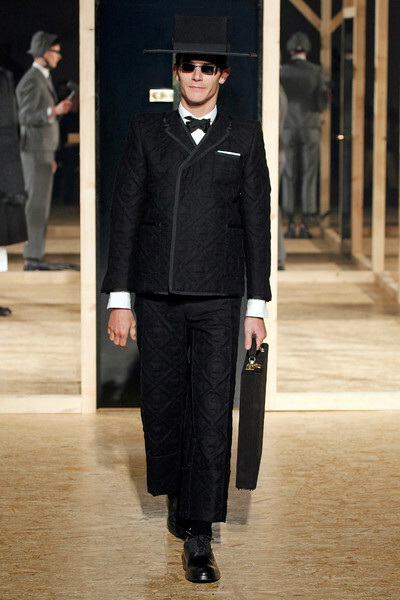 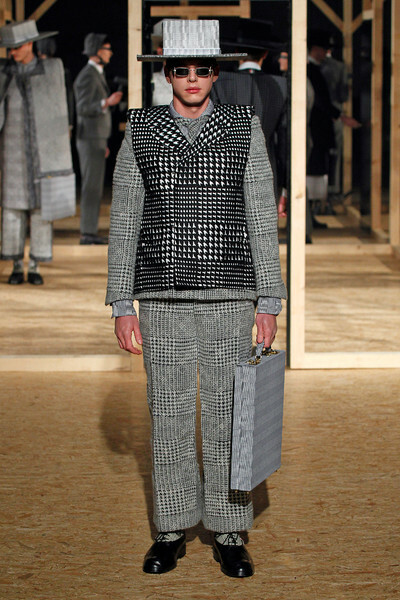 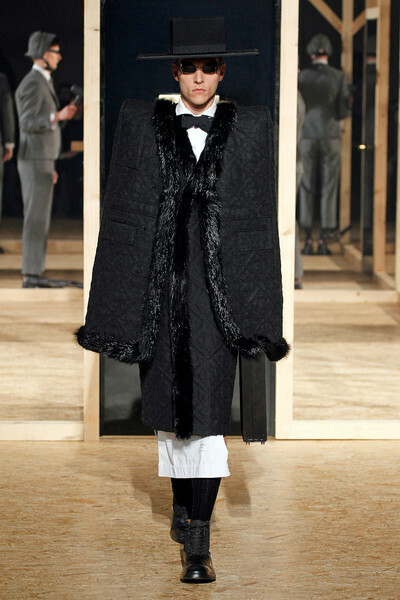 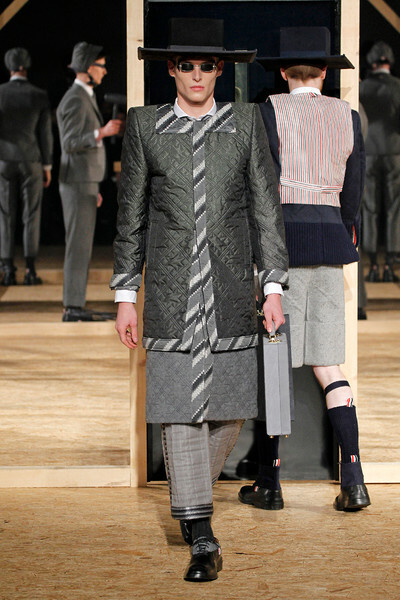 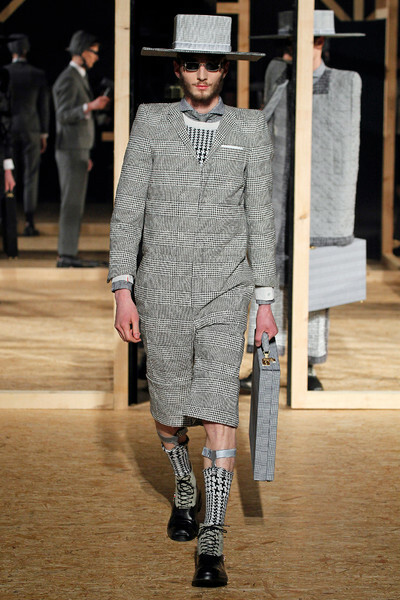 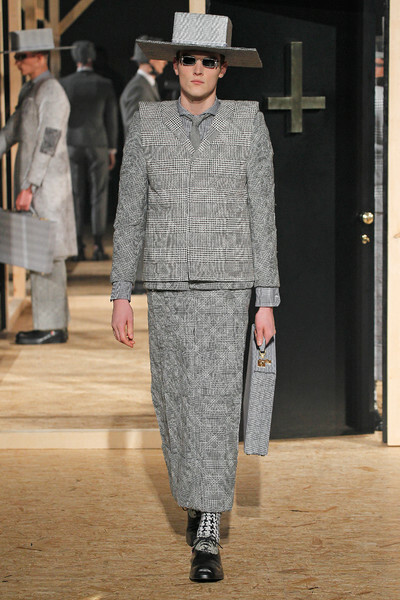 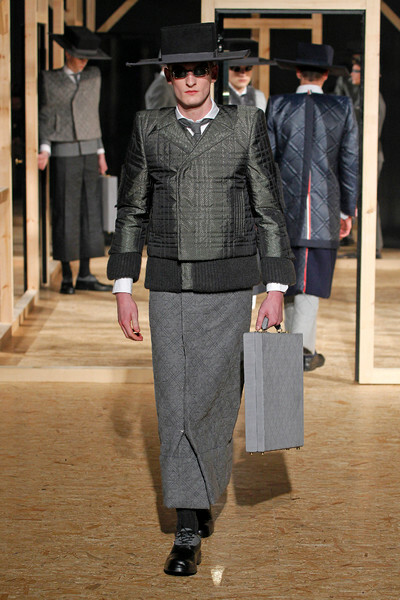 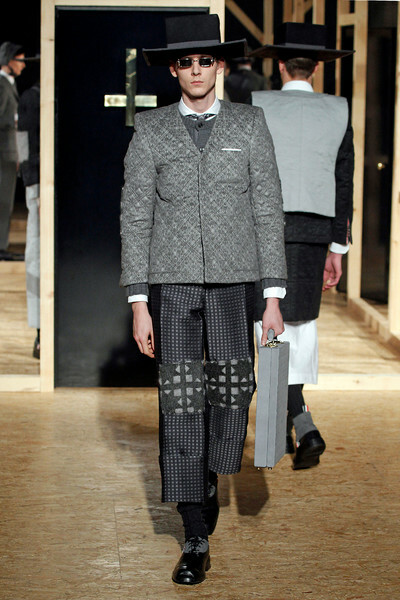 While blindfolded models hammering on a wooden construction formed the backdrop of Thom Browne’s fashion show, his walking models appeared from behind. 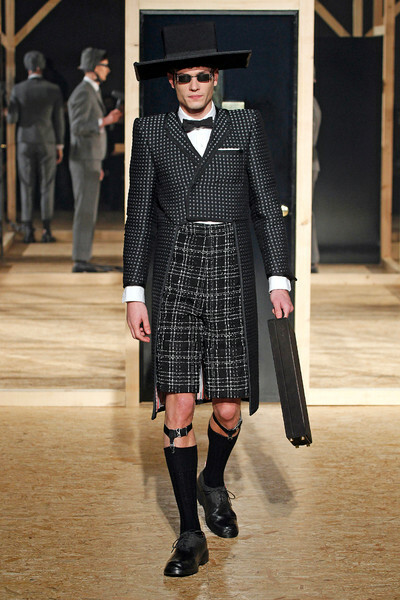 The fact that they wore checked skirts and dress like designs could have been enough to keep us press interested. 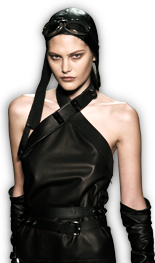 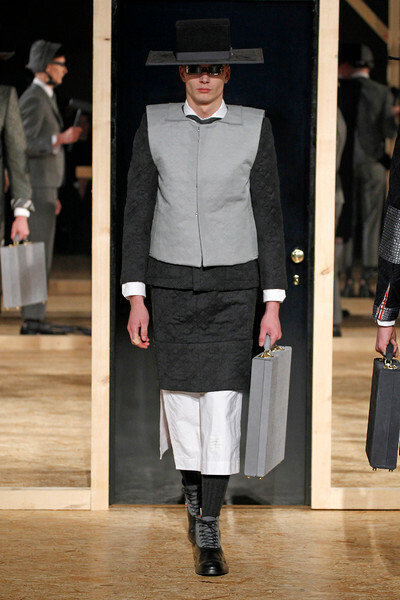 Yet Browne added an extra dimension to his looks, making them unique yet unwearable. 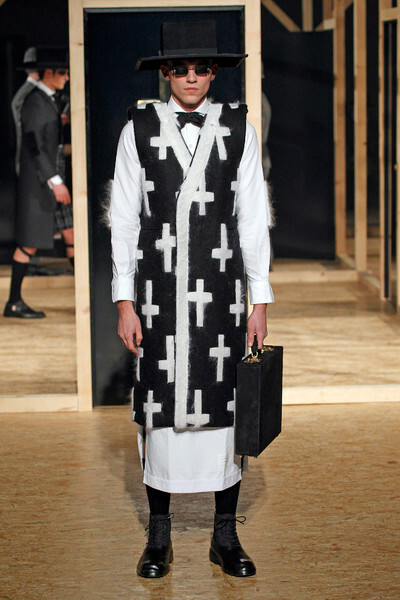 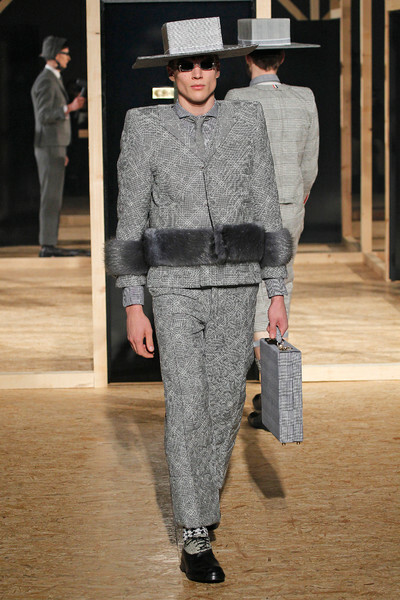 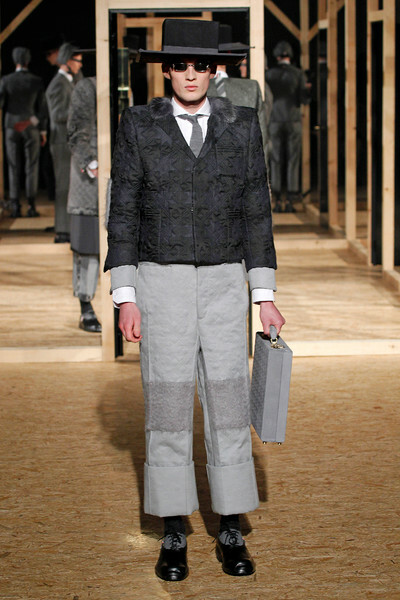 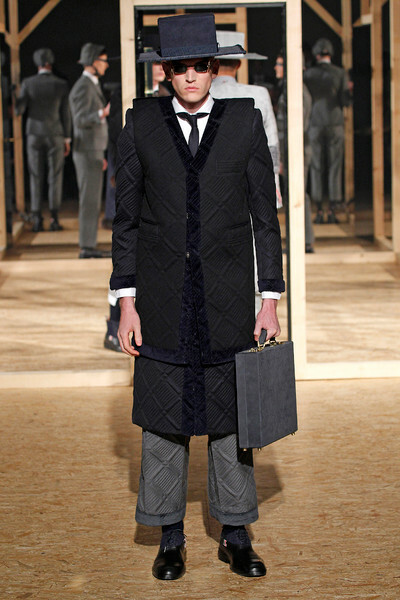 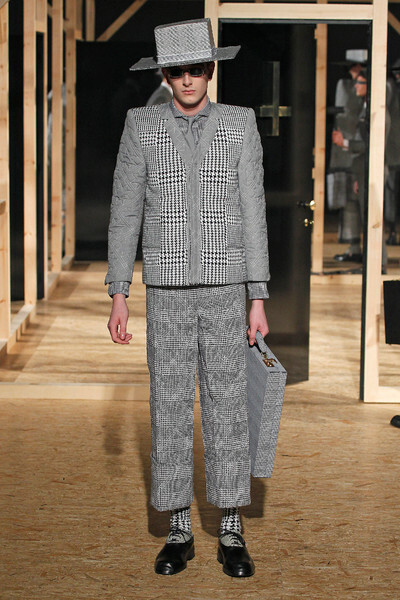 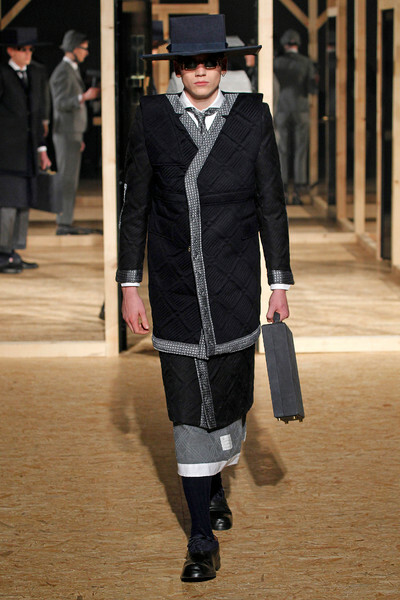 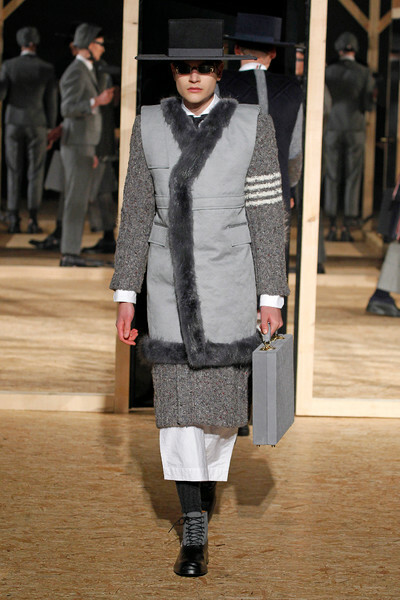 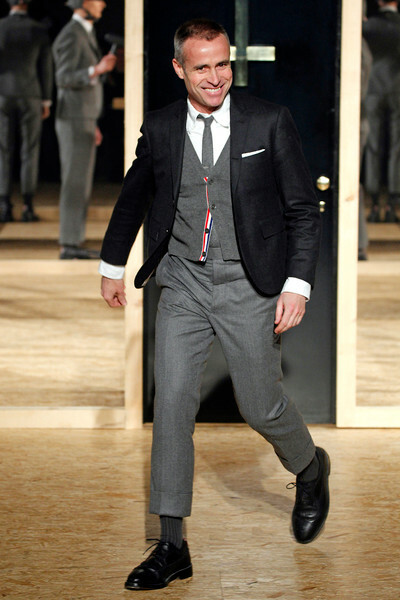 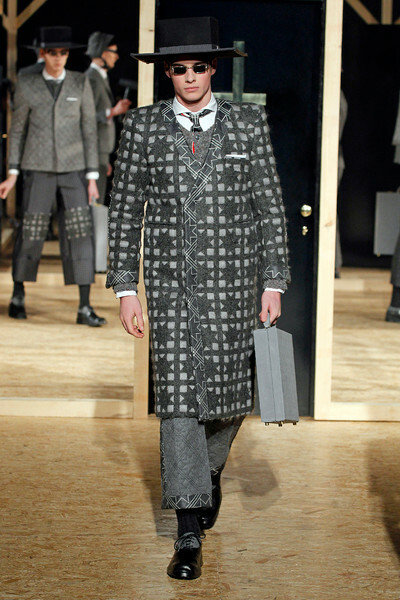 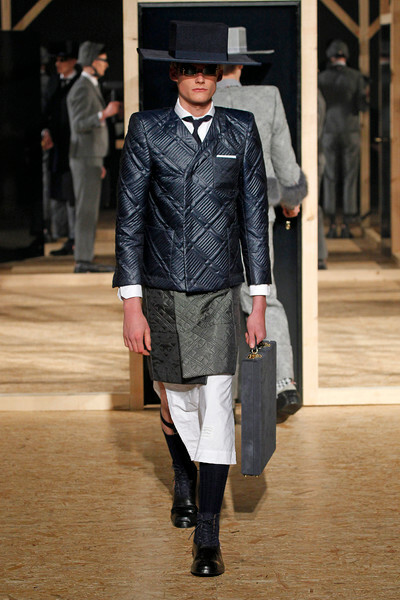 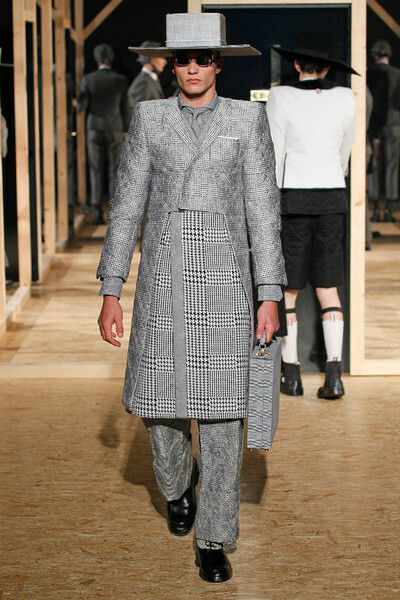 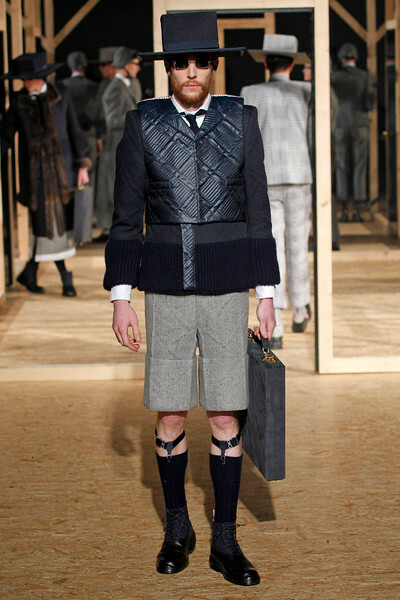 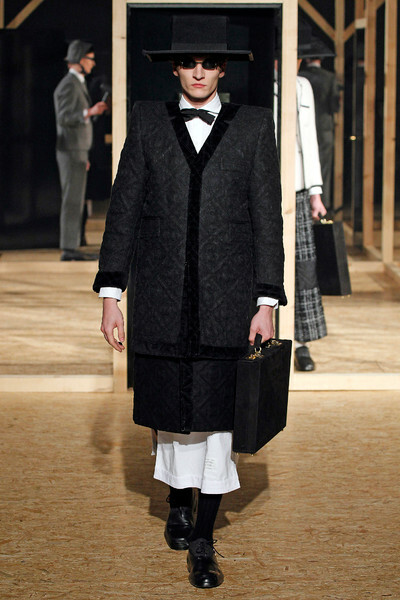 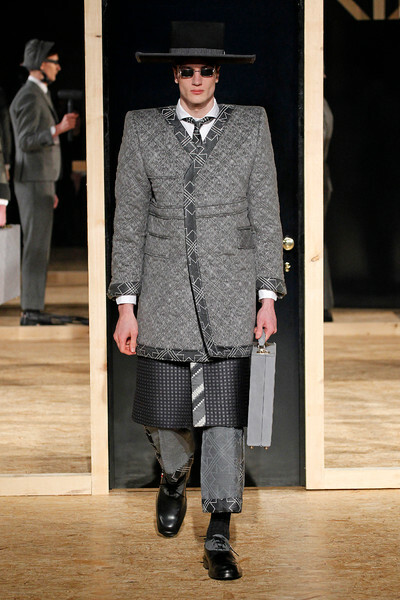 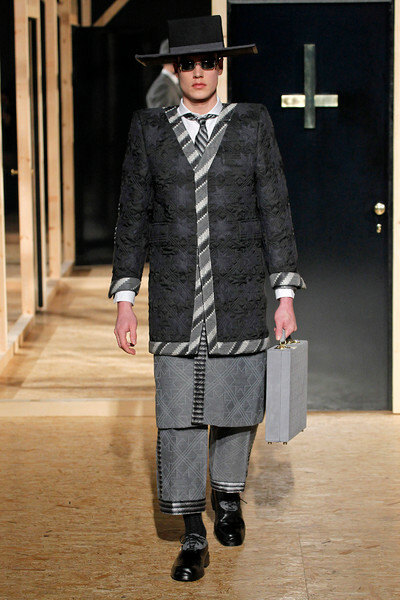 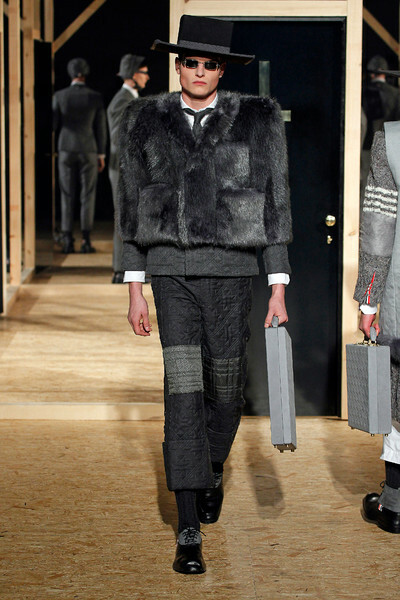 His grey flannel suits, his cross printed vest, his checked pants and illusionist coat; they were all done in a boxy style. 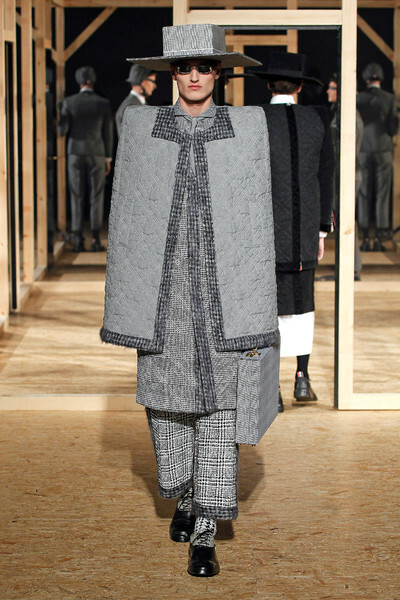 The effect of the square fits and the super stiff shoulders was even amplified by his square hats, rectangular sunglasses and geometric suitcases. 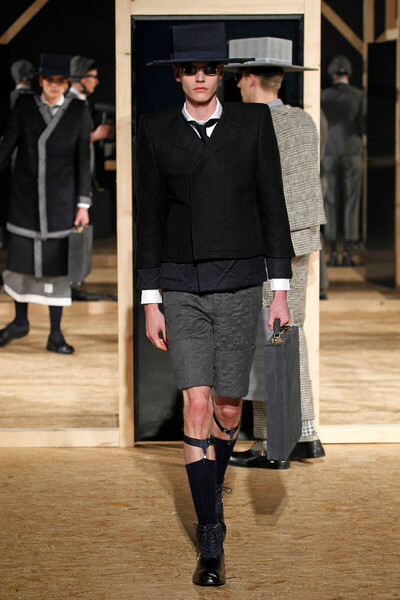 Let’s hope Browne hat some real boxes hidden underneath his designs, so that when he removes those, he can actually sell some of these fall/winter creations.